Don’t worry if you’re finding it difficult to grasp this concept. My goal today is to make this as simple, clear and plain as a white sheet of paper to you. That is why you should stay with this post to find out more about SEO in Ghana. It’s full of powerful information you need for yourself and your business. This is how people are searching for information on PayPal, online payments, eCommerce etc in Ghana. 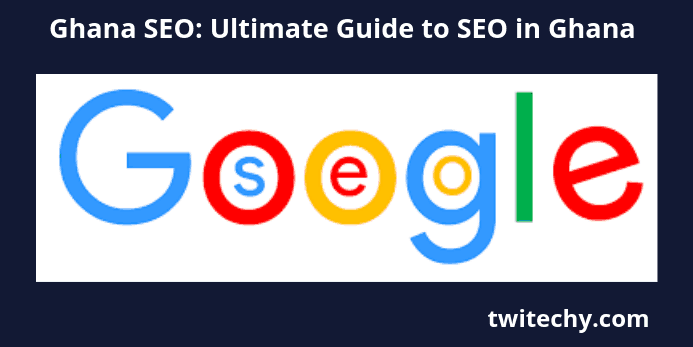 This is an in-depth SEO tutorial. It’s my goal to serve you with growing and current trends while doing my best to respect your time. This is just a 10 minutes read. I’m keen on staying focused on what is relevant for your content marketing strategy through this “SEO Ghana” post. You need to ask yourself these two questions and you need to get very clear about the answers before creating your content. What is the phrase my audience/people searching Google for? Why are they searching that specific phrase, today? The answer to these specific questions will drive your Ghana SEO effort and SEO anywhere in the world. This is because if you’re not optimizing your content and website for the right keywords, no one will find your content or website. You’ll not rank for keywords related to your business. This post will reveal how to rank for relevant industry-specific keywords or terms on the top of Google search engine. This will help you grow your business, sell more of your product and services and get more customers. If you stay with me through this tutorial, I’ll arm you with all you need to be an SEO expert in Ghana. In fact, this is how I’m ranking for keywords on this very website. 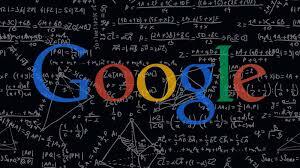 Google’s Search engine and the brain behind it – call it ‘algorithm‘ is complex enough. Even Google’s own experts, employees and technician don’t know all about it. They keep giving contradictory and diverse viewpoints on how Google algorithm works. Therefore, I’m not going to attempt to explain how the monster looking algorithm works. However, there are rules and regulations known as ranking factors. These ranking factors will guide any SEO effort. Anywhere. Anytime. Follow the rules and you’ll be successful. Many people don’t rank higher or on the first page of Google because they’re either going against Google’s own rules or they’re creating their own rules. In this post, you’ll first get an overview of the basics of seo and how it applies to SEO in Ghana. I will make sure you understand what the main ranking factors are before moving on to the advanced strategy with clear step-by-step details. How is SEO Ghana different from SEO Africa? Before we confuse SEO Ghana with SEO Africa, let’s get things right. SEO Ghana is the act of ranking for specific keywords in Ghana. SEO in this regard means Search Engine Optimization. SEO Africa on the other hand is a non-profit leadership development organization building its presence across the African continent. SEO in this regard means Sponsors for Educational Opportunity. Both terms or keywords ‘SEO Ghana‘ and ‘SEO Africa‘ ranks on Google. That means, a good number of people are searching for these terms. SEO Ghana, as mentioned above – helps people who would want to learn, know more, or seek information about Search Engine Optimization in Ghana. SEO Africa, as mentioned above – helps people who would want to to learn, know more, or seek information about Sponsors for Educational Opportunity in Ghana and Africa. Can you see that these two terms mean two different things altogether? However, SEO Africa’s website has a page which ranks number 1 for the keyword SEO Ghana. This is because, Google’s search engines has seen or crawled related keywords and terms on SEO Africa’s website which can be relevant for anyone searching for SEO Ghana. In other word, SEO Ghana may be the Ghanaian version or branch of a bigger SEO Africa brand according to Google’s search engine. 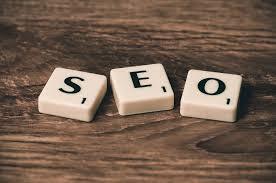 Nonetheless, the acronym or initial SEO could also stand for Search Engine Optimization. Therefore, the term SEO Ghana. This can be explained as Search Engine Optimization in Ghana. So I’ve taken upon myself to rank for the said keyword “SEO Ghana” to test Google Search Engine. And that is my goal for this post. SEO Ghana, as mentioned above stands for an activity performed in relation to Ghana. It means people would want to learn, know more, or seek information about Search Engine Optimization in Ghana. SEO Africa, as mentioned above holds true for a specific brand and message. It is a driver for people to learn, know more, or seek information about Sponsors for Educational Opportunity in Ghana and Africa. Should you trust so-called Ghana SEO Expert? If anyone or agency promises to help you run a successful SEO campaign – meaning they’ll help you rank for relevant keyword on Google in your industry, ask this simple questions first. Show me websites or keywords you’ve ranked for on Google in the past? So many people claiming to be SEO’s, SEO guru, SEO expert etc… don’t do the real work but outsource it to contractors abroad. If you can’t practise what you preach, then how can you provide value to people and businesses who need SEO services. These factors outlined above merits a whole post on its own. Until people and businesses understand the value and return on investment SEO can bring to their businesses and organizations, these misconception will run for quite some time. At the end the returns is priceless. A word to a wise is enough, they say. Ghana SEO Services you should be taking advantage of today. Based on our combined 10+ years of providing digital marketing, SEO packages and custom SEO Services, this is what you should expect from an SEO Company with a mission to succeed and a vision for your business. It’s rather unfortunate today that, not all websites are as Search Engine-friendly. An unbiased SEO audit identifies any issues and opportunities for your website. Do you want to achieve the most growth possible? A seo basics audit include but not limited to a 20 point checklist of your current website, rankings and competition. 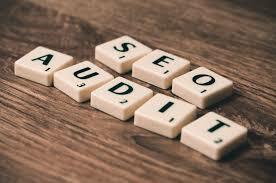 An effective SEO Audit is not a sleazy, not off-the-shelf, machine-generated reports that provide little to no value to a business. Each should be undertaken by a highly experienced Digital Analysts and should be tailored to your unique circumstances surrounding your web site. Our Search Engine Optimization Audits at Twitechy identify opportunities and issues; we examine technical, on-page and off-page elements and your competition, delivering SEO answers for your online success. Do you want to get more local customers to visit or call your business? With 47% of Google searches requesting for local information, you’ve no excuse but to implement a deliberate local SEO strategy for your business. Using local SEO services for your business to earn more valuable clients is a must. And for small businesses in Ghana, implementing local seo strategies is easier because there’s not much competition in the market. In fact, many businesses don’t know the importance of digital marketing – how much local seo. Therefore, starting a robust local seo campaign will be beneficial to the overall digital marketing strategy. Local seo sets your business up as an authority and expert in your industry. This will validate your products and services to your potential customers and first time buyers. Local search engine optimization is the method of raising Google rankings. This is done by implementing a series of tactics in hopes of higher search rankings when a customer does a “near me” search. Businesses rely on local SEO services to get more customers for their business without having to pay for expensive advertising. Google controls a majority of the traffic online and it is the #1 website on Alexa. In fact, if Google de-indexed Amazon from their search engine, Amazon would lose 34% of their traffic. Imagine a large brand like that losing 30% of their traffic! Google controls traffic. Your choice of Content Management System (CMS) can impact the SEO of your website. 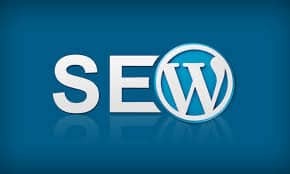 That’s why the preferred CMS when it comes to SEO is WordPress. And Google can attest to the fact that WordPress website does best on search engines. WordPress is an open source, license free platform with over 70 million installations worldwide and is the most Search Engine-friendly solution available now. The WordPress CMS has gone through rigorous scrutiny and various testing. The WordPress CMS (Content Management System) is robust because as I’ve said early, it is open-source. Open source meaning the development and coding behind this software was contributed by anybody who could make an input. On various aspect of WordPress – its design, asthethics, technicalities etc… Therefore, when there’s an issue with its functionalities, there are several people who can offer support to help solve the issue. It is by far the best & most Search Engine-friendly solution without doubt. You can grow this type of traffic with a planned and executable video SEO strategy.You can implement this strategy for free. You can achieve this through a highly optimized YouTube channel with optimized videos. 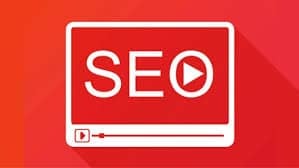 The main benefit from organic search traffic (whether it is from Google or YouTube) is that you will receive traffic for months and years to come even after publishing your videos or content. And they will continue to drive audience growth, email list growth and traffic growth through 2020 and beyond for your business and website. Who doesn’t want this. This is true residual rewards for the work you do once! Don’t forget, YouTube has its own algorithm too. You may be wondering how YouTube stacks up to the other platforms… Here are some quick YouTube stats for you. There is a nearly infinite traffic and audience growth potential here and video SEO is your key to reaching more and more people every day. Search Engine Optimization – SEO in Ghana is quite new. We know. 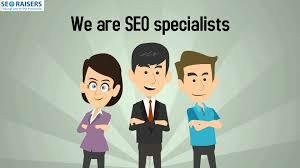 Twitechy LLC, is the best SEO Ghana expert you need. Search Engine Optimization is not an all-in-all marketing strategy. But it compliment everything else you’re doing to grow your business online. In fact, it is one of the best ways to market your business to millions of potential customers online for a very long time. 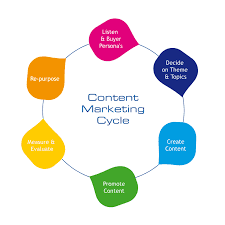 Content marketing for your Ghanaian business will set you up as an authority in your industry. Twitechy’s main aim of SEO Ghana in 2019 is to get people calling your business consistently. Your problem isn’t getting new customers. Your problem is building a predictable system to get new customers every month. Marketing as we know traditionally, comes with these two options when growing your business. Your second option is to hire an employee – an astute marketing genius or even a marketing team. However, you also have the option to go digital, which I highly recommend. This can be an alternative to the traditional marketing. Or otherwise, you can do this alongside the traditional marketing. For instance, many SMEs, institutions and enterprise businesses have websites today. A conversion-focused website today can be one of the most powerful salesperson for your business in Ghana. Not just a brochure website. Especially, if you implement most of the customized digital marketing strategies we recommend. Notwithstanding, this must be implemented by a digital marketing consultant or an agency who knows what they are about. In order not to attract the wrong customer base. I believe you and your team understand how expensive that can be. I’m all for it, if you have the necessary funds and investment to pay for ads online – it’s a great place to start. And it breeds confidence. However, organic traffic can be golden to your business forever. Even though, it may take some time to see results – like any other investment, it’s worth it. Twitechy specializes in creating digital marketing campaigns including SEO for small and enterprise businesses in Ghana that consist of organic traffic from Google’s search engine. Do you need assistance with social media management, PPC advertising, video production, graphic design, and marketing consulting, Twitechy is your surest bet. Read more about our services by clicking here. Twitechy generates Inbound Leads For Clients Using SEO In Ghana. New visitors turn into new leads. And new leads when nurtured have the potential to become new customer. 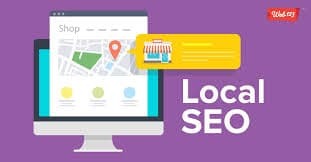 Local SEO is crucial for a business because according to Impact BDN, 72% of people who search locally on Google, end up visiting a business within 5 miles in 72 hours or less. With statistics like this, you cannot ignore the ability of the search engines as Google is #1 on Alexa rank for website usability. Local SEO has a lot to do with the Google maps. If you can be in the three pack of the Google maps you will get a significant amount of phone calls in Ghana. This is because 33% of the clicks within Google search go to the maps result. Once a customer views your map listing they are more likely to contact you. And they are more likely to purchase what you’re selling. This is what we do. In fact, we do it for yourself. That is how you found us. Twitechy is the best SEO company in Ghana that can outrank your competitors in search engines and control your digital presence on Google. We have a small team with a combined experience of about 15 years working online and doing various aspects of search optimization and digital marketing. All we do is help you compete. Let’s grow your business using the number 1 Ghana SEO agency. We’ve provided thousands of businesses with results by simply following the rules of Google. Click on the button below to request a free digital marketing audit of your website. Rankings are dependent on keyword difficulty, Keyword difficulty is a score based on 0 – 100 to determine a markets competition. For example, the keyword “Ghana SEO” has a difficulty of 38 according to ahrefs (a popular SEO tool to measure KD). If your business is targeting a keyword with a score of 80, it will take longer to rank than a keyword that has a KD of 9. Your best option is to contact us to view our approach on ranking your keyword specifically. Once you contact Twitechy, we will immediately conduct an audit of how well you’re performing on the Google’ organic search. Based on your performance and our evaluation, there will be a scope of work laid out for your project. We’ll outline the time and budget needed to rank for your keywords. Since SEO is not a one month or one-time quick campaign, we enter into a contract/agreement with our clients for a better solution. The only time we don’t use contracts is when we’re doing a one time optimization for a given website. Our pricing is based on the hours it takes to get the keyword placement. This ties back to understanding on how keyword difficulty can affect SEO rankings. This is because going for keywords with more competition takes more time and much more production than a keyword with low difficulty. Our approach varies depending on your type of business. But regardless of your business, we get the work done by focusing on creating high quality and relevant content, updating your content regularly, creating click-worthy title tags and meta tags, using image alt tags, focusing on website speed, and having link worthy content. With these suggestions it is safe to say you’ll see positive movements regardless of the industry. When we launch an SEO campaign we always ask you what keywords you want to rank for. Once we have the list of keywords, we can then determine other keywords that fit well with your brand authority. Targeting keywords all comes down to what the user is trying to accomplish after they make that search. We can also use tools to find keywords that are being searches the most in your local area or throughout the world. Yes, if you don’t have existing website content for us to optimize we will do it for you. 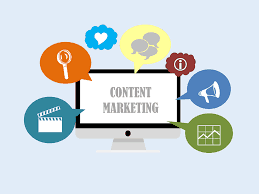 Our SEO strategy is also a content marketing strategy. Using a team of highly skilled writers we can create content that represents your brand and what it stands for. We specialize in writing articles that are 100 – 10,000 words long all in efforts to rank for a specific keyword. If you already have content, we then optimize your existing content to make sure it gets impressions in Google search.